Providing you the best range of differential pressure transmitter, differential pressure switch, fischer de25 digital differential pressure transmitter, digital differential pressure transmitter, differential pressure transmitter for air and differential pressure switch for ventilation with effective & timely delivery. ALVI Automation association with Gas alarm systems, Australia offer Beck-Differential Pressure Transmitter 984M The differential pressure transmitters of the 984M series are used to measure differential pressure, overpressure and vacuum. They provide 2 pressure ranges and 2 output signals, which are selectable using a jumper. Applications Adjustable differential pressure switch for monitor ingoverpressure, vacuum and differential pressure of air or othernon-combustible, non-aggressive gases. Frost protection for heat exchangersMaximum operating pressure10 kPa for all pressure ranges. MediumAir, non-combustible and non-aggressive gases. Temperature rangeMedium and ambient temperature from –20°C to +85°C. Diaphragm materialSilicone, tempered at 200°C, free of gas emissions. 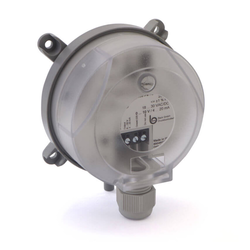 DE25 is a differential pressure transmitter with a 3-wire electrical interface. 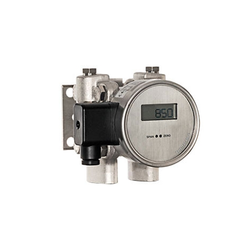 It is suitable for accurate measurement of positive/negative gauge pressure differential pressure of air and gases. 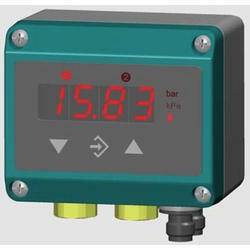 The main feature is the calculation of the differential pressure. The analysis allows two independent switch points to be set and makes two programmable output signals available. The first output signal (channel 1) is proportional to the differential pres-sure and can be influenced by means of rooting or a table. The second output signal (channel 2) is proportional to the pressure and can be assigned optionally to the signal P+ or P-The nominal pressures of the integrated sensors and the differential pressure measuring range are set permanently ex-works and stated on the type plate. Full parameter setting and measuring point protocol possible thanks to optional PC adapter EU03. 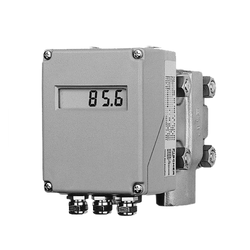 The differential pressure transmitter of the 984M series are used to measure diff.pressure, overpressure and vaccum. They provide 2pressure range and 2output signals, which are selectable using a jumper. Monitoring of gaseous, non aggressive media. Differential Pressure Switch for Ventilation systems is used for optimization of airflow. In building technology, the importance of energy management is continuously increasing. The need for action by the respective industrial company is prompted due to rising energy costs. The optimization and reduction of circulation volumes allows ventilation system to be designed smaller and leads to lower electricity consumption. The major part of existing industrial ventilation systems operates under unregulated full load conditions. In the context of energy optimization the obvious choice, instead of the unregulated mode of system operation , is to decide in favor of the regulated mode by controlling the ventilation system in accordance with the required air volume. ALVI Technologies offers a range of various measuring devices allowing the storage of the characteristic curves according to ventilation fans in the form of so-called value pairs (K-value) by means of a table function. Special ventilator characteristic curves can be stored in via a support point table. Depending upon the requirement, the device can have a signal output, switching output and optionally a linear characteristic curve for filter monitoring or square root extracted characteristic curves of the controlled volume flow measurement. Pharmaceutical industry needs to maintain strict air quality in there plant to ensure quality of the medicinal product. in order to ensure the healthy air quality it is essential to monitor the fresh air in take filters for clogging or filter break through. FISCHER Germany DE27 is a multi-function differential pressure transmitter with a 2-wire or 3-wire electrical interface brought to you by ALVI Automation- India, Gas Alarm- India in association with ALVI Technologies Austrlalia. 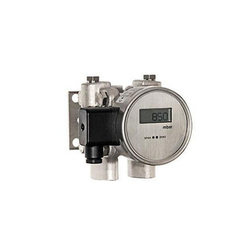 It is suitable for accurate measurement of positive / negative gauge pressure or differential pressure of air and gases. Adjustable pressure switch monitoring overpressure, vacuum or differential pressure of liquid and gaseous – also aggressive – media. The pressure switch uses a scaled adjustment knob to enable the adjustment of trip and reset pressure without the use of a screwdriver. Ambient temperature from –20° C to 85° C. Temperature of media from 85° C or 130° C depending on material of pressure connection and diaphragm. Depending on media NBR, Silicone, FKM (Viton®), EPDM. For 901.8x Silicone, others upon request. 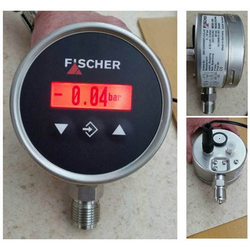 Offer Fischer Products for Pressure measurement of liquids and gases up to 250 bar For a Nuclear Power Plant. Gas Alarm Systems ) in association with Gas Alarm Systems Australia offer Pump monitoring with differential pressure transmitter and switch: DE39 Pumps of all sizes are used throughout the process industries to transfer a wide range of fluids. Often the pump system within each process runs at a high cost. Hence pump monitoring is very crucial as it can protect the pump from serious damage and prevent even greater operation losses. The pump’s performance can be measured by differential pressure between the suction and discharge nozzle. 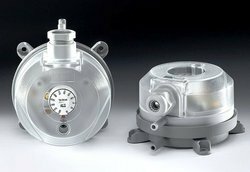 The differential pressure would indicate how well a pump is performing as well as it would point out the areas to improve its performance. Reducing the pressure loss within each process reduces the need for larger expensive pump and would help creating a better end product. 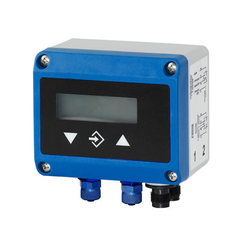 Our differential transmitter DE39 in its version with a LC display offers the possibility of displaying the inlet pressure P-, the outlet pressure P+, the differential pressure dP, and the volume flow. The volume flow can be calculated by the unit and the can be assigned to the analog output signal. This output signal in turn can control the pump by regulating the flow with the speed adjustments. The second output signal is proportional to the pressure and can be assigned to either suction or discharge pressure. Both potential free switch contacts can be freely assigned to either channel. Irregular operating conditions can be read on the display or can be assessed by two analog output signals and appropriate corrective actions can be taken. Thus monitoring the performance of the pump improves it’s efficiency, helps to run the pump with very little maintenance for decades and reduces overall operation cost. ALVI Automation in association with Gas alarm systems, offer Frequency Control for VFD, VSD for pump motor control by Fischer DE38 Differential Pressure Transmitter. 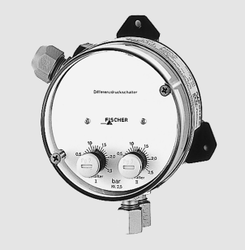 For control of hydraulic fluids, oil, lubricants Fischer DE38 Differential Pressure Transmitter is widely used. Differential Pressure measurement in hydraulic fluid pipe lines is an important technology in measurement of fluid flow and there by volume measurement and control. 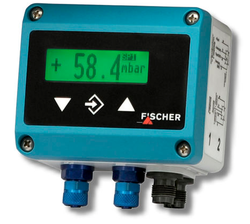 Fischer DE38 Differential Pressure Transmitter measures the pressure differential between two points and thereby calculates the flow rates of the fluids and volume of the fluids. This technology helps the user in finding out the consumption of hydraulic fluid oil and lubricants and there by reduce operational cost, maintenance cost. 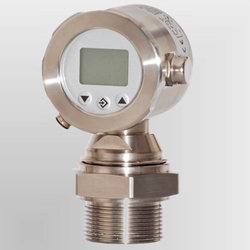 ALVI- India/Australia is happy to announce yet another product for pressure measurements – Digital pressure transmitter – MS13 adding another feather to its cap of pressure measurement solutions. Parameterization of the unit can be done via the keyboard or via the remote computer. The unit also allows data logging via computer. Gas Alarm Systems – India In Association With Gas Alarm Systems – Australia Offer Fischer Differential Pressure Switch Type 21 D - Ds 21. This Differential Pressure Switch Is Used For The Flow-monitoring In Thermal Oil Installations Acc. To Din 32 727 And In Hot Water Installations Acc. To Vdtüv – Code Of Practice Flow 100 –. The Flow-monitoring Installations Consist Of A Differential Pressure Element, For Example A Measuring Orifice, Of The Differential Pressure Measuring And Switching Device And Of The Relevant Shut-off Valves. For All Of The Above Applications, The Relevant Rules And Codes For The Construction Have To Be Followed. All Instruments Of The Series 21 D Meet The Requirements Of These Regulations. The Certification Of This Instrument Was Based On The Prototype Test And The Grant Or The Prototype Test-stamp: – For Flow-monitoring Acc. High Repeatability Of The Switching Points Long Service Life High Overpressure Protection Prototype Tested Construction And Operation This Measuring And Switching Instrument Is Based On A Rugged And Uncomplicated Diaphragm Movement. In A State Of Equilibrium, The Forces Of The Springs On Both Sides Of The Diaphragm Are Balanced. The Pressure Or Differential Pressure To Be Measured Creates An Unbalanced Force At The Diaphragm. This Force Moves The Diaphragm System Against The Force Of The Springs For The Measuring Range Until A New Equilibrium Is Reached. When Subjected To Excessive Pressure, The Diaphragm Rests On Metal Supporting Plates. A Centre-mounted Tappet Transfers The Motion Of The Diaphragm System To The Indicator Movement And To The Initiating Elements Of The Micro Switches. The differential pressure transmitters of the 982M series are used to measure differential pressure, overpressure and vacuum. They provide one adjustable pressure range and one output signal. The end of the pressure range can be reduced to 50% of its factory set full scale value simply by the use of a push-button. This pressure switch can be used in potentially explosive zones1, 2 and 21, 22. In the safe area, an associated isolating means(separating barrier, switching amplifier) must be connected before. The entire isolating circuit must then be proved to keep inherent safety. For this purpose, the power specifications (P, I, U) of the barrier must be lower and the characteristics (L, C) higher than those of the pressure switch and of the connection line (blue color). 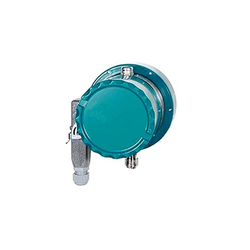 Adjustable differential pressure switch for monitoring overpressure, vacuum and differential pressure of air or other non-aggressive, combustible gases. The differential pressure transmitters of the 985 series are used to measure differential pressure, overpressure, and vacuum. They provide up to 8 pressure ranges and 2 output signals, which are easily selectable by jumper or rotary selector switch. This differential pressure instrument is based on a rugged and uncomplicated diaphragm movement, suitable for overpressure, partial vacuum and differential pressure measurements. The system’s operating principle is identical for all applications of this type. In a state of balance, forces of springs on both sides of diaphragm are balanced. The Pressure or differential pressure to be measured creates an unbalanced force of springs for measuring range until a new balance is reached. When subjected to excessive pressure, the diaphragm rests on metal supporting plates. A centre-mounted tappet transfers motion of the diaphragm system to indicator movement and to initiating elements of the microswitches. Gas Alarm Systems India in association with Gas Alarm Systems Australia offer Monitoring Condition of Filters withs. FISCHER – DE03 Diferential Pressure Transmitter Sensor. DE 03 Electronic Differential Pressure Transmitter combines electronic measurement with a rugged sensor design, resulting in high accuracy, high differential and static rating, and ability to handle difficult media. It is available with local digital readout and electronic limit detection relays, with measuring range of 0 – 40 mbar to 0 – 25 bar. 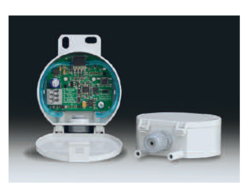 The differential pressure transmitter DE13 for differential, negative and positive pressure measurement using a diaphragm system with liquid filling. The instrument transmits a standard electrical signal. Instruments for measurement of variables such as pressure, temperature, level, and flow in the process allows the system operators to monitor the condition and movement of liquids and gases. 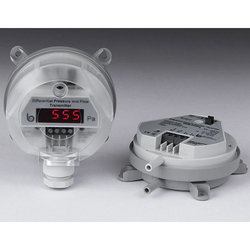 Differential pressure transmitter is widely used in filter monitoring. Our Differential pressure transmitter DE13 can greatly reduce operator error, improve process efficiency and reduce maintenance. A filter removes unwanted particles or contaminants from a gas or liquid system. When a filter becomes clogged, efficiency and pressure drops. A filter should be removed or repaired only when it is in an unhealthy state. If it is removed before that, it leads to loss of time, manpower and money. On the other hand if it is left for too long, the process efficiency is compromised. The only way to get an indication of an unhealthy filter is via continuously monitoring the condition of filter. Many processes use two pressure transmitters to identify the change in process pressure conditions which in turn reflects the filter status. However, we strongly suggest to use one instrument instead, for a better accuracy. 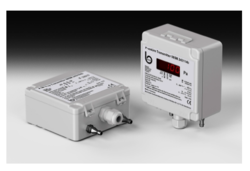 Our differential pressure transmitter DE13 directly measures the differential pressure, provides a digital display and a standard analog output. The analog output signal can be used to indicate if the filter is clogged or is about to be clogged. Differential pressure transmitter DE13 comes with a rugged, wear resistant sensor design with a very low low hysteresis. ALVI – India in association with Gas Alarm Systems – Australia take pride to offer Fischer products for Level measurement Flow measurement Monitoring filters, pumps and compressors in Nuclear Power Plant.